In this lesson we did a guided drawing for the bear. 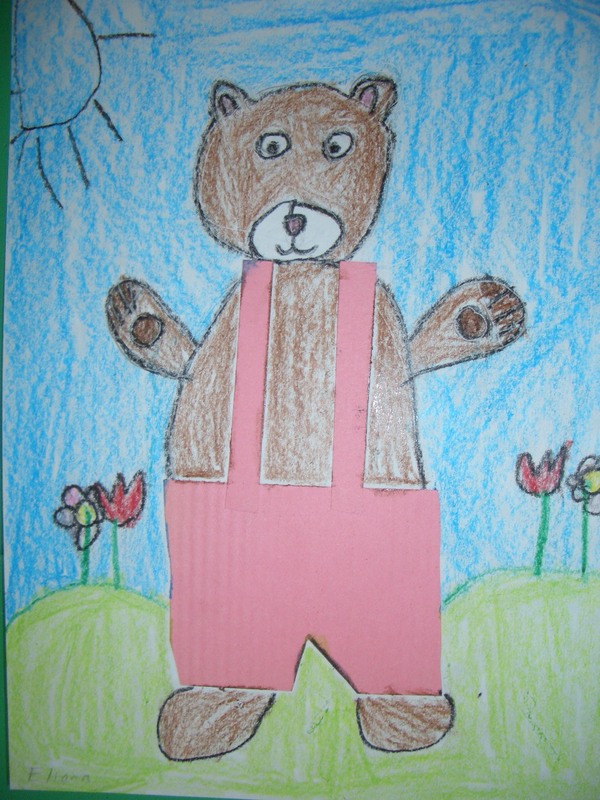 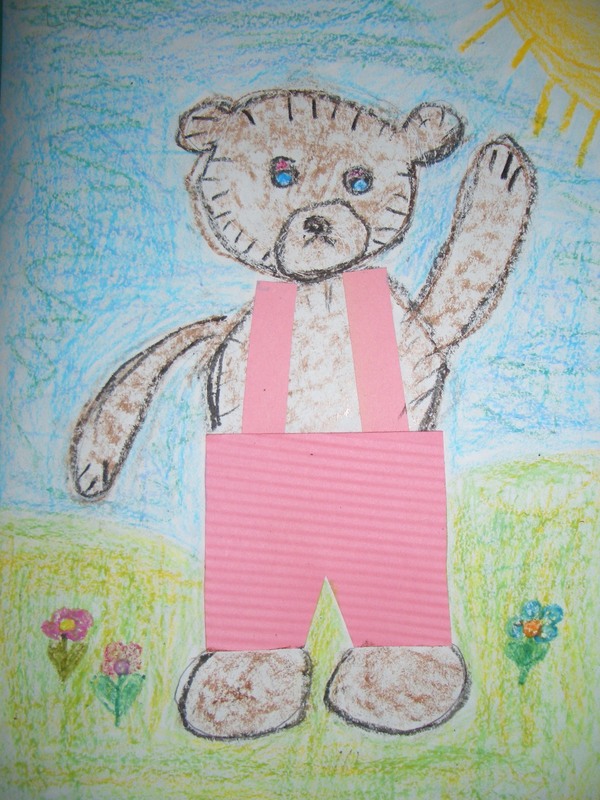 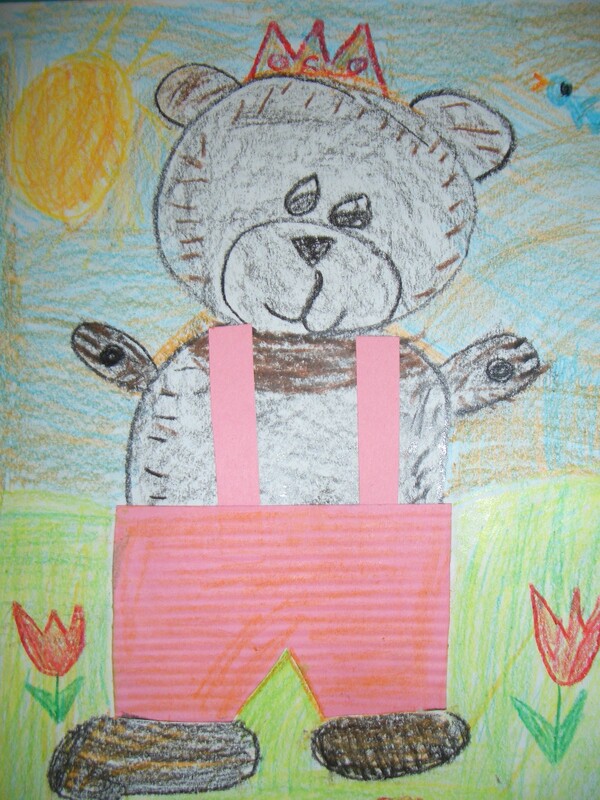 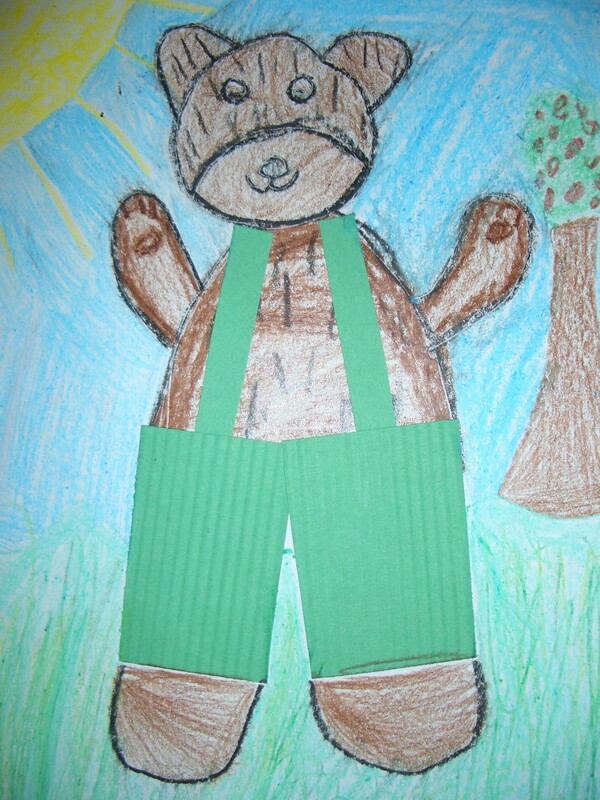 The students then worked on adding texture to their bear as well as adding the corduroy pants. I used a paper crimper to demonstrate a bumpy texture for the children. 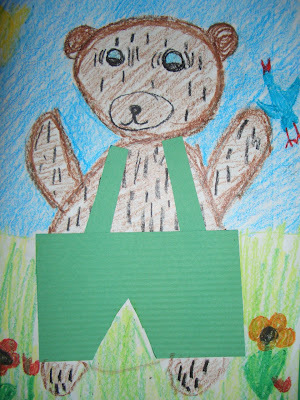 They loved using the crimper and were amazed on how it transformed the paper.